par Robert J. Tuholski Ph.D. Located between the Quabbin Reservoir and the New Hampshire state line, Orange has developed from a sparsely-settled, agrarian countryside to a thriving industrial community along the banks of the Millers River. 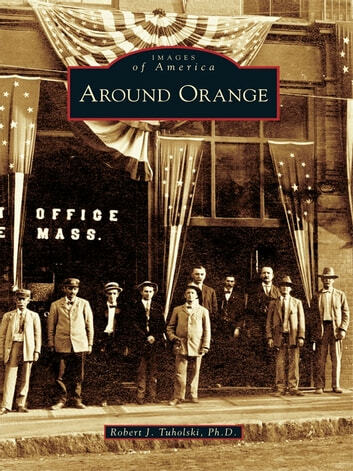 Around Orange includes images of this town and the surrounding towns of Athol, Erving, New Salem, Warwick, and Wendell. 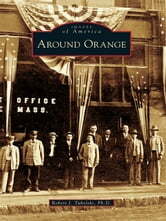 Through photographs, postcards, and stereoview cards from a bygone era, this volume provides a glimpse of what it was like to live and work in this area long ago. Seen here are vintage images of schools, churches, public buildings, homes, businesses, industries, celebrations, and disasters.